When you team up with a Grade Potential college English tutor, you gain personalized, one-on-one attention from a professional who’s an expert in the field. Our college English tutors work with you on your schedule and according to your learning style–so you are empowered to reach your academic goals. 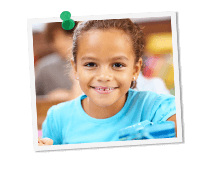 Grade Potential doesn’t provide one-size-fits-all tutoring; we offer highly individualized tutoring catered to the specific needs of each student. We work hard to match the right tutor with each client. Looking at personalities and learning style, we make connections that make all the difference in English coursework. Grade Potential tutors are here to provide college students with ongoing support throughout undergraduate and graduate education. Each college English tutor is an expert in the field, capable of instructing in a way that works best for the student. What’s more, we have tutors to cover all college courses and fields of study. With our help, you can master tricky subject matter and move forward.